Ah hem, moving on…It’s a new stamp set for the Creative Expressions DT and for the merry month of May we are working with the Umount Birds A5 Stamp set. I’ve used the multicoloured embossing technique with black and silver embossing powders onto a linen textured card to give that extra texture to the embossing. But what about the watercolour wash background? I’ve used one of my favourite colouring materials – ok, so I do have a few favourites, as you know, but these are in my top 10, possibly even top 5…It is the Caran D’Ache Neocolor II watersoluble wax pastels. Oh and you might have noticed that it is raining here?! Don’t forget to checkout what the other Creative Expressions DT members are up to with this stamp set the links are all in my sidebar or you can ‘Like’ the facebook page to see them. Gorgeous Kim. Love the watercolour background. Wow! That's beautiful Kim! I love the colours! I LOVE that background! I'm going to have to find some of those pastels here in the states. Thanks for your sweet comments on my blog today! Thank you for stopping by my blog. I knew your name sounded familiar and I was surprised that I had been here for WOYWW and probably for other interests, since you have such fun looking techniques and tutorials. The stamp looks like a lot9 of fun and I suspect it will be a real "keeper." Love your raised doodled square background, it works really well! 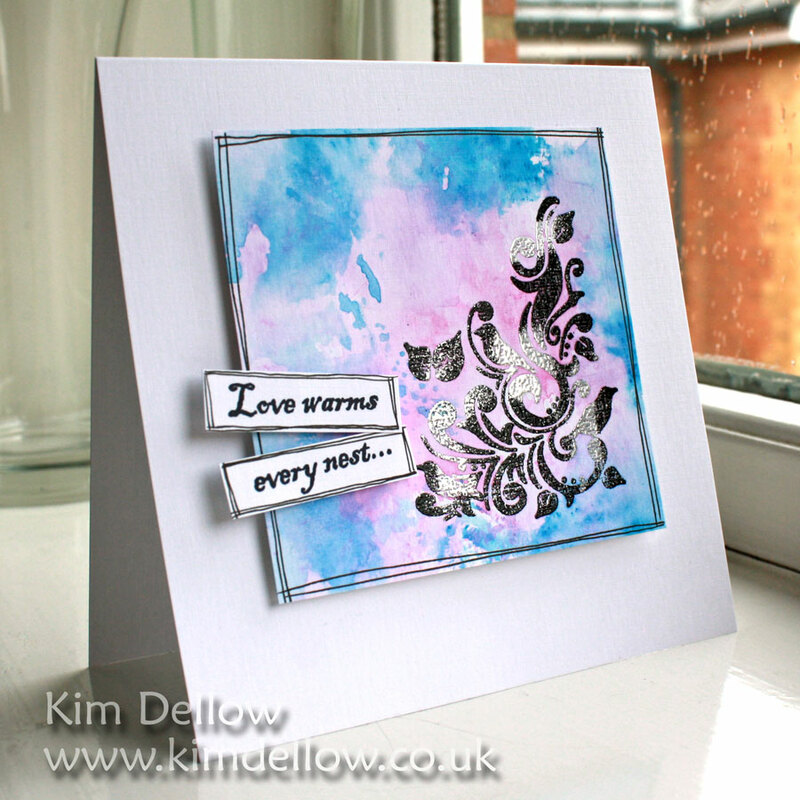 A beautiful card Kim, I love the colours of your watercolour background. How do you succeed to keep those neocolor colours so perfectly blended but yet so separated, Verry pretty background!